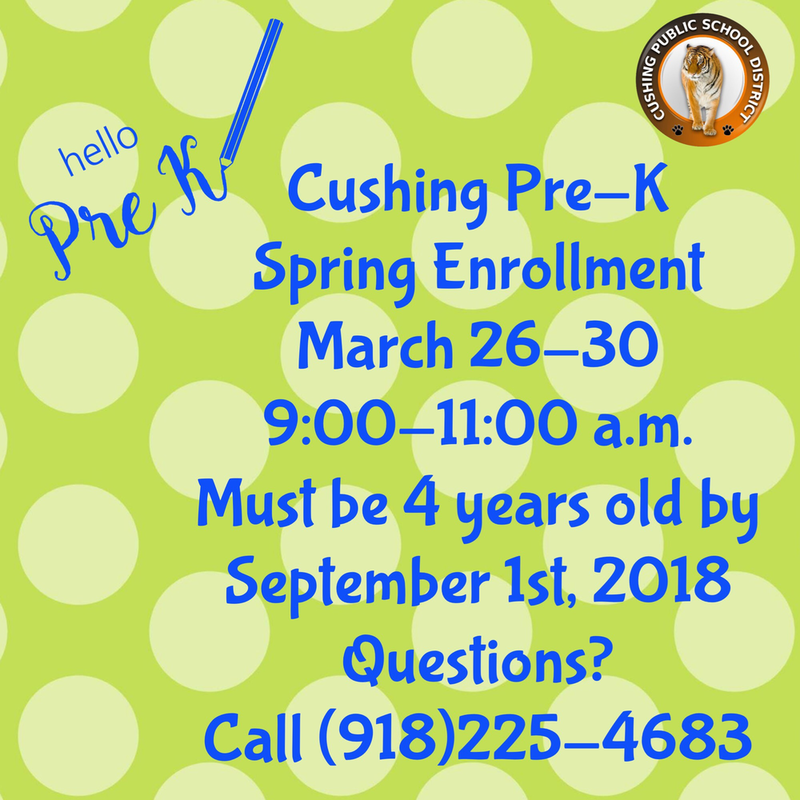 Cushing Pre-Kindergarten will have its Spring enrollment for the 2018-19 school year March 26th through March 30th from 9:00-11:00 a.m. each day. Enrollment will be held at Cushing Pre-Kindergarten located at 1919 S. Kings Highway. Your child must be 4 years old by September 1st, 2018. You must bring a birth certificate and immunization record. You must bring a utility bill that proves residence in Cushing. Each child will need to have a school screening. Those can be done on the day you come for enrollment or you can make an appointment for another day that week. If you have any questions, please call 918-225-4683.